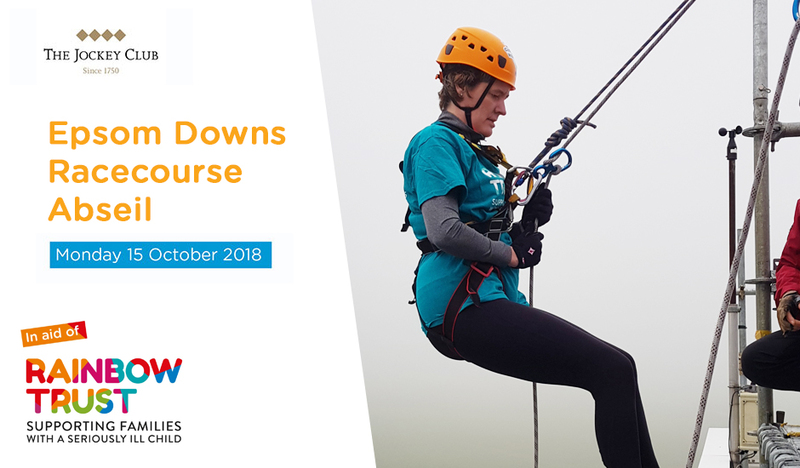 The Epsom Downs Racecourse Queen’s Stand Abseil (in association with our Corporate Charity Partners, The Jockey Club) has been in planning since summer and our supporters have been hard at work raising funds from colleagues, friends and family to sponsor them over the edge. As the date drew closer tensions understandably grew - in part due to the pending descent, but mostly stemming from the emergence of Storm Callum, which had gripped the country the week before with gale force winds and torrential rain. Luckily, the downpour and high winds subsided and although the Racecourse was subdued in a deep blanket of fog, the conditions were perfect for a safe, albeit slippery abseil. The team of climbing instructors from Mile End Climbing Wall were there, bright eyed and bushy tailed, ready to get everyone kitted up and trained on how to safely descend. After a few last-minute nerves were addressed, all the hard work and preparation paid off. A total of 24 participants from a variety of partnerships all entrusted their lives to the safety of a climber’s rope as they dangled over the edge of the 90ft Queen’s Stand at Epsom. We had an amazing turn out on the day and welcomed a staggering 14 brave employees from The Jockey Club Racecourses all over Britain - from Kemptom to Exeter, Epsom and London. The great news is that not a single person failed their attempt and all participants successfully turned out to face their fears and raise money for The Jockey Club’s three charity partners: Rainbow Trust, Carer’s Trust, and Racing Welfare. At the end of the day, Rainbow Trust were party to a great day and were happy recipients of The Jockey Club’s great fundraising activities. Nevertheless, there’s never too much fundraising and if you would like to get involved please click here. Four-year-old takes on his first fundraiser!